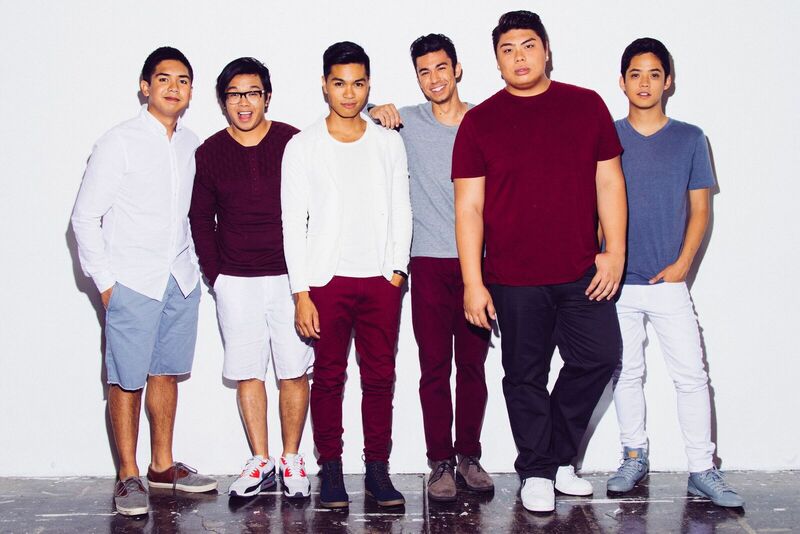 Between their jaw-dropping covers of chart-topping hits, their charisma on-screen and off, and infectious swagger that most a cappella groups can only dream of, it's no surprise that The Filharmonic has an expansive and dedicated fan base. Catapulted into the limelight during NBC's "The Sing Off," the six-piece group soon found fame both in the film industry and through social media, nabbing roles in box office hits like "Pitch Perfect 2" and racking up over seven million views on their YouTube channel. But undoubtedly the most rewarding experience for The Filharmonic hasn't been their film or television fame -- it's getting a chance to meet their fans up close and personal. The Filharmonic is slowly finishing up a five month tour across the country, visiting different colleges and universities to meet up with their followers who have been with them since the beginning. Their Get Up & Go tour gave the group an incredible opportunity to give back. As member Niko Del Rey mentions, being able to provide music to their fans is the reason they keep going; "Personally, I feel like we keep making music because of the fact that we want to keep reaching more people." We recently spoke with the a cappella sensations about the fan moments that touched them the most, what is going through their minds during live shows, and the biggest highlight on their Get Up & Go tour. YouShouldKnow is a feature that showcases up-and-coming social stars. To see more of past interviews, including more Filharmonic features, click here. Was there ever a moment with a fan that really touched you? Niko Del Rey: Every interaction that we have with fans does. The messages range from people saying that our music got them through hard times in their lives to it getting them through their workouts, and every message wows us. It's heart-touching to hear that they feel something from it. Personally, I feel like we keep making music because of the fact that we want to keep reaching more people. What's going through your mind when you're performing? Jules Cruz: It doesn't matter if there's 4,000 people in the crowd or four, I still have the same nerves. I try to reach out to as many people as possible and give them the experience they're expecting from a live show. We just keep focusing and pushing ourselves during our live performances because they are making a difference in someone's life. What has been the biggest highlight of your live performances? Niko Del Rey: We did the University of Texas Austin and it was supposed to be 2,000 kids but it ended up being 3,000 and it was at capacity. People were pouring out of the back doors cheering. And then afterwards they all wanted to hang out with us so it was a big party. It was amazing! I could do that everyday. Where do you see the progression of your music going in the next few years? Jules Cruz: We just want to constantly make videos. We want to eventually also start putting out more original music, and create music the way that we want to. What is the biggest thing you've learned since forming as a group? Niko Del Rey: I think I was ready to do a career in political science since that was my major in college, but this was so rewarding and I really realized that you should pursue something you love. People always say that when you love what you do it doesn't feel like work at all, and that's how I feel. Jules Cruz: I would say that I learned the experience of performing is something that I could never give up. I understand now just how liberating performing on a stage is. And if you could collaborate with any other artist, who would it be? Niko: I would say Beyonce! I think it would be really cool to collaborate with Kendrick Lamar too.